There is an old Chinese Proverb “Do not insult the crocodile until you’ve crossed the river”. Raghuram Rajan, the suave Cambridge educated Governor of the RBI, would have done well to pay attention to this sage advice. Instead, he went out of his way to taunt NAMO and the Government. First, Rajan turned a deaf ear to the several entreaties of Arun Jaitley, the Finance Minister, that interest rates have to be reduced drastically in order to boost the economy. Instead, he defiantly said “My name is Raghuram Rajan and I do what I do” implying that he has no concern with what the Government desires. The situation became somewhat comical because it implied that the Finance Ministry is a mere spectator and has no role to play in these important fiscal issues. Second, Rajan taunted NAMO by calling his government a “One-eyed King in the land of blind”. This was like a red flag to NAMO’s bhakts who cannot tolerate even the opposition taunting NAMO let alone someone appointed by him. All three heavy-weights in NAMO’s cabinet, Arun Jaitley, Jayant Sinha and Nirmala Sitharaman, took strong exception to Rajan’s choice of words. “We are the shining star. I don’t agree with what the governor said.” Jayant Sinha said testily. “I may not be happy with Rajan’s choice of words” Sitharaman fumed. Then, Rajan tied himself in knots trying to explain the “context” of his statement. He also apologized to the visually handicapped citizens for his “insensitive” remark. Third, not having learnt his lesson, Rajan again attacked NAMO by claiming that the ‘Licence Raj‘ had gone but the ‘Inspector Raj‘ remained, cocking a snook at NAMO’s claim that he had eased the norms of doing business. Fourth, Rajan demanded that the “RBI should be allowed to take its own decision” implying that NAMO, Jaitley and Sinha are breathing down his neck and not allowing him to function independently. 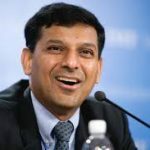 Fifth, Rajan appears to be enamoured by the idea of “Islamic Banking” or “interest-free banking” even though his predecessor D. Subbarao had debunked the idea as impractical. This has understandably raised the hackles of the Hindutva brigade. Nirmala Sitharaman, the Minister of Commerce and Industry, appears to have reached the end of her tether. She openly hit out at Raghuram Rajan’s monetary policies and claimed that high interest rates are impacting industry and small businesses. “Rajan’s policies need to be revisited” Sitharaman said in a chilling tone. In these circumstances, there are no prizes for guessing that Raghuram Rajan’s days as RBI Governor are numbered. 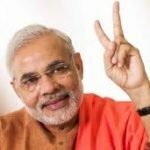 Subramanian Swamy, NAMO’s confidante, enjoys a formidable reputation as a ‘giant killer’. He is known for his fearless and relentless pursuit of NAMO’s enemies. Swamy’s latest brief is to cut Rajan to size and to bring him to his knees. Swamy has been relentlessly attacking Rajan. His latest salvo is to file a charge sheet of six grave accusations demanding that Rajan be fired immediately from his job. Swamy also alleged that Rajan’s policies are “anti-national in intent” and that he has acted in “reckless disregard of the national security interests”. Swamy also alleged that Rajan does not “have a clue on how to technically determine monetary policy or interest rates”. Should RBI governor Raghuram Rajan get a second term? However, many in the intelligentsia are not impressed by Swamy’s charge sheet against Rajan. Names of other potential candidates for RBI guv should not even be included in the same sentence with Raghuram Rajan. RGR is class apart. Sunil Jain, the Editor of Financial Express, called Swamy’s diatribe a “lunatic idea” and “nonsensical objections”. Swamy finds fault with Rajan using his Chicago ID. But how come many Government staff in sensitive positions use Gmail, Yahoo in their work? Some international observers are not taking kindly to the fracas between Swamy and Rajan. Bloomberg expressed concern that Swamy is “The Trump of India” and a “risk to the reforms process”. The Free Press Journal warned that the “Attack on Rajan sends all the wrong signals“. It pointed out that “the argument of Swamy willy-nilly becomes (if it is not already) the argument of the BJP“. It also claimed that if Swamy’s demand for a loosening of interest rates is accepted, there will be catastrophic consequences on inflation. Now, this sorry state of affairs has put novice investors like you and me in a confused state of mind. On the one hand, if Rajan is replaced by a pliant Governor, the first thing that the new Governor will do is to slash interest rates. This will send all stocks surging, especially the Banking, NBFC, Realty and Auto stocks. However, some claim that such lowering of interest rates will send inflation rocketing and that there will be draconian consequences for the economy. So, a short-term benefit by way of an aggressive lowering of interest rates could turn into a long-term disadvantage for the entire economy! Is should be given a second term, not because he is a cult figure or market participants/FIIs like him. He should be given one if he has done a good job. The SMEs are not happy, that’s for sure. definitely do not have the guts to forgive the loan default. They are waiting for Raghuram Rajan to spoon feed them . Maybe -before talking Swamy should request Finance ministry to give some more time for the SME ‘s to return the loan amounts- not blame the RBI for this. Who gave the loans in the first place? The real problem with our politicians today is the lack of academic credentials of decision makers. In contrast Swamy is just one person having very good academic background. And swamy is using his “brilliance” to filibuster decision makers, just because Swamy dosent personally like Rajan. This lack of good academic credentials will hurt India in the long run. What a blunder we have committed by giving BJP the mandate and that too on a platter!! i SUSPECT YOU ARE BIASED. THIS GOVERNMENT HAS OUTPERFORMED THE WORLD AND PAST GOVERNMENTS BY MILES. ARE YOU A BABU HURT BUY ANTI CORRUPTION? I SEE RESULTS EVERYWHERE – DEPENDS WHO YOU ARE A GLASS EMPTY OR HALF FULL TYPE. SWAMY HAS RAISED AN IMPORTANT POINT – DO WE WANT A GREEN CARD HOLDER ?? ONE WHO RESERVES THE RIGHT TO GO BACK?? 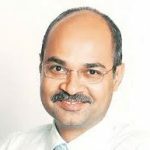 WHERE IS THE COMMITMENT TO INDIA? RAJAN HAS DONE WELL BUT A PERSON WHO LEADS CANNOT DISPARAGE HIS ARMY IMAGINE A GENERAL WHO LEADS BUT ALWAYS THINKS LOW OF HS TEAM AND DISCOURAGES. HE MUST WATCH HIS MOUTH – THAT IS HIS BIGGEST FAULT. ONE CAN ALWAYS FIND FAULT BUT HE IS GOOD NOT IN HIS PREDECESSORS LEAGUE BUT GOOD YOUTHFUL REPLACEMENT. Typical ignoramus from the ranks of the RSS. Open your own blogsite on wordpress or some other, and you frame rules for your blogboard. This is his blogboard and you are nobody to tell him what to do and what not to do. Now you just listen here. No, that’s enough! How dare you. How dare you! You have illiterate moron. Ragu speaks Ill of the government and modi and you dare to sit here and speak as if it is a joke of an article. Ragu has no business getting involved in such matters. 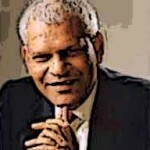 What is worse, the RBBi governor is supposed to sell India and make it a favorable investment. This idiot instead was degrading the country and saying the GDP is fake. Well let me tell you, pappu sympathizer. No longer do we the Indian MaJORITY accept to listen to foul and filth such as yourself. Close the curtain, go to sleep, and start the next morning by educating yourself first. you uneducated illiterate, how dare you speak anything against Raghu? What is YOUR credibility? First of all prove that you are NOT an internet fraud. Internet is full of frauds like you. Why should someone believe you? Rajan is been internationally acclaimed economist. I think you have the same academic qualification as Modi which is why I will not spend my time on you. I feel RGR is a Congress stooge. The way he tries to criticize BJP everytime and all opposition parties supporting his continuation. A politically biased person can’t take decisions for good of economy. it’s better to replace him. 100% agree. No RBI governor would say such things about his PM. Sorry Ragu, but your loyalty to Madame Sonia is not acceptable. R3 is a MIT educated. He has his loyalty towards western ideology. His job is to make Western Institutes make money on India soil. British looted India for 250 years and now all the western powers wants to do the same by way of framing government policies suitable to them. Congress government was a willing partner for the same. NAMO government is not ready for the same. Thats the reason, R3 goes on criticizing Namo govt. It is better if he goes out as RBI Governor. There will be always better people in India to manage Indian Economy. If India has to progress, we don’t need western educated guys. Fantastic….Last line resembles exactly my thoughts. Thank goodness there are Indians such as yourself and myself who are proud of India, proud of being Indian, and believe we are better not inferior to filth such as Sonia and her dog Ragu. Modi should put him in his place and let a Patriotic Indian take over and out Indian interests first and foremost all the time. Fully agree. Plus he is fooling the public on rate cuts. See my separate posts on it. A qualified literate in the hands of illetrate government.rajan seems highly qualified ..he will be happier in us…governor position will soon get filled up by another tv star or some fake degree holder. No one is indispensable. There will be many equally qualified persons for the job but without his kind of political bias. I bet you are a bloody trader who is looking to make 20 rupees. Jokers talking out. No hes qualified engineer.rakhi sawant and mallika sherawat will be considered. Do you think the InDian economy and the fact that India is the only bright spot in the investment community is becuase if this stupid congress stooge. You are as dumb as a congress mp. Why don’t you just sign an affidavit to Sonia and serve her. Ok. Got it. Good. Don’t you dare say anything else. Not a word more. Rajan has done very well in controlling inflation. stabilising Rupee and in liberalisation of bank licences. He can’t cut interest rate ruthlessly when inflation is out of control. Who will keep deposit in banks at rate lower than inflation rate. Controversial Swamy’s remarks on Rajan are not justified. BJP will pay heavy price for Swamy’s personal attacks against Rbi governor when he is doing well under complex conditions. Rather Modi should extend his term happily. Let us hope Rajan will accept extension of his job. Repo rates have insignificant bearing on banks cost of funds which r guided by avg cost of deposits. Hence banks cannot pass on to public. They r passing on 20% or so out of compulsion of public perception. Rajan is fooling public with repo rate cut. Let him cut CRR by 1% and banks will definitely oblige by passing on. Reality. Repo rates have insignificant bearing on banks cost of funds which r guided by avg cost of deposits. Hence banks cannot pass on to public. They r passing on 20% or so out of compulsion of public perception. Rajan is fooling public with repo rate cut. Let him cut CRR by 1% and banks will definitely oblige by passing on. Reality.This is not a duplicate comment but a reply clarifying further why banks cannot pass on. Rahguram Rajan’s tenure is ending in a couple of months. Fine job done. BYE-BYE go, thank you. RR – You were part of the the Manmohan singhor’s advisory catory. You were placed in your seat as RBI Governor one year before the end of UPA five year rule by Sonia + Manmohan as a future checkmate to the new government. They then knew that they would lose so someone their own man as RBI Government would be be better – such thought process made you RBI governor. Why now do you want to latch on? evil intentions to harm India by policies detrimental for India to shine in the world is your singular agenda. FII’s are not fools, if they see comparative gains by investing in India, they will come on India’s terms . [Note : Who is RBI Governor has marginal influence in their decision to invest in india.] Earlier government bended rules to FII’s for their corrupt gains. When are we going to stand high and above with integrity in our jobs to be done to make India Great and counted? search your soul each one of you/us even Rajan. God bless him and us. We should not waste our time in discussing politicians ,which can be find across parties ,who survive by back door entry in parliment through Rajysabha and then pay back to their masters by accusing baselessly the persons not in good terms of their masters. Nobody is indispensable…no reason to believe that RR is the only capable person in the whole of India. Who knows: a new man may bring in fresh & more pragmatic ideas ! Very true. Rajan is not the sole qualified person in India. change in the only constant in this technological revolutionary world. Every day and every moment of the day, it is keeping us human beings on vigilance to be updated with the latest/new, otherwise one feels left out. human beings are also not inevitable-more so government employees, so if one goes, someone else comes and tries his best to improve the working, the environment and works towards the effects of his vision. There should be pursuit of purpose. So friends let us wish the present governor of RBI -RR the best after he retires, and please let fresh air, ideas, vision flow from the new incumbent to match/fulfill the growth desires of the ruling NDA government. enough of that slow growth rate of the of last >45 years due to/of government lethargy [Late Shri Nani Palkhiwala use to say so in his budget analysis talk] to public sentiments towards corruption and high handed, self centered selfish political loot. We as a proud Indian nation need to move forward with vigor and passion in an non corrupt environment. As RBI Governor the Central Government will hopefully find a better head who can be independent in his thinking but at least work in tandem with the governments vision, plan and policies. 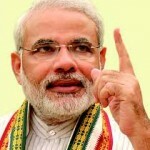 No one is indespensable- you, me, NaMo, RR or anyone. But some people will be missed more than others and RR is one of them. If the Govt. wants to bring politics into financial decisions, the country is going to suffer in the long run. There is no need to get into personal. I heard Rajan speaches. I find he is honest to Core and upfront. 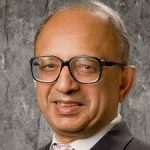 He is highly respected economist globally. We should be proud of him as Indians. We are extremely luck to have him around as Rbi governor when India was going through trade deficit and foreign currency crisis due to high oil prices in 2013. He has raised sufficient foreign currency deposits from NRIs using innovative ideas in 2013 and saved Rupee from drastic fall. His contribution to Indian economy is unparallel. We will be lucky if Rajan accepts his extension as Rbi Governor. I would go one step more.Rajan should be rewarded and elevated as finance minister. He can do wonders like what Mammogram Singh did during PVN Rao rule. Modi is politically savy but he need an intellectual finance minister like Rajan. Modi should control people like Swamy if he want to come back to power again. Let us not waste time on irrevelent and unwarranted comments of Swamy on Rajan. RBI governors are changed in India. If the govt changes from Left leaning to Right leaning, the Governor has to be in step with their vision, and not work at undermining the democratically elected vision. This governor was never spectacular, all the time we hear about his foreign background, and its great he has that exposure. However his own understanding of where this nation is headed, of how many jobs are required for the 18-30 age group Indian citizens, what changes are required to ensure this happens. Joblessness is a worrying factor for us and RR’s policies of not cutting the interest rate is actually deterring employment in business. When rates cut, valuations of companies rise, and they are able to expand and offer employment. This is not about personalities, this governor has no idea about what this nation needs on an urgent basis. Instead, he is consistently trying to belittle the voices of elected members of parliament who have their finger to the pulse of the nation. Employment needs a more dynamic and intelligent governor, not an educated one living in a Western ivory tower.